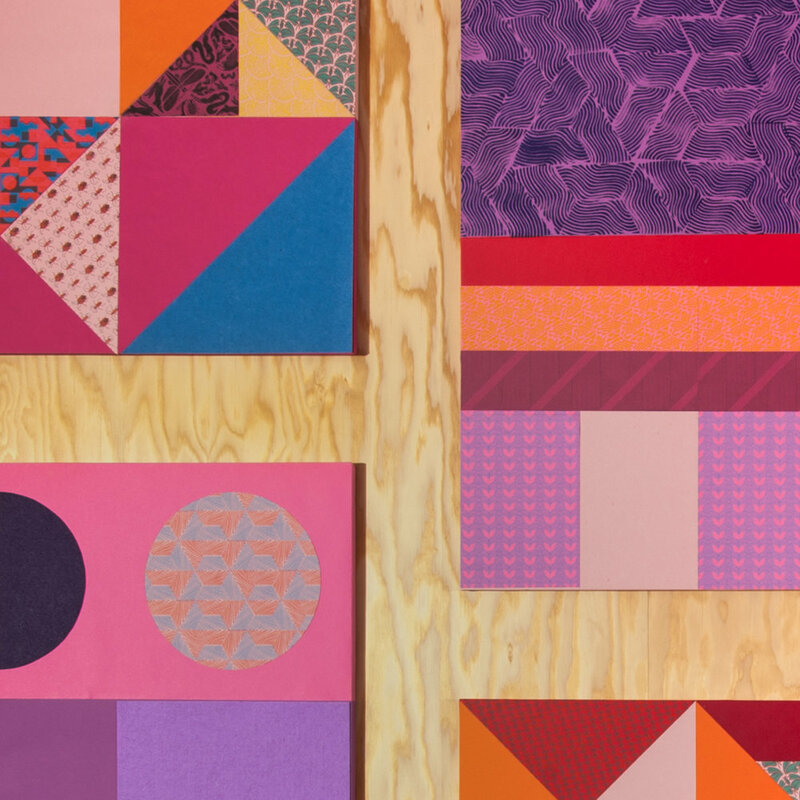 The magic of the Analog Research Lab’s residency program lies in their willingness to say “Let’s figure it out!” My time at Facebook culminated in this immersive installation of 12 colorful panels, combining patterns developed during my residency with a variety of textures and materials. I was interested in pushing the limitations of risograph printing while embracing the surprises and accidents — I spent 85% of the time planning my approach and then settled into intuitive decisions for the assemblage of the piece. Overseen by Justine Orrall and Scott Boms, feel free to watch the mini-doc below for more details and thoughts! what is up, my fellow planners?